To re-treat or not to re-treat? Sometimes aftercare following refractive procedures can be challenging, like managing small refractions. We look at the autorefractor and topography results prior to seeing them, expecting a delighted patient to be faced with a list of visual difficulties. We are often quick to jump to the conclusion of re-treatment. 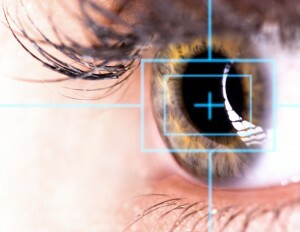 After laser surgery, patients’ opinion of their vision may not match their expectations. Often they compare with other people and tell the optometrist that other people (who often wear spectacles or have had surgery) can see further. As optometrists, we are very good at refraction and often find a small prescription. This may improve the Snellen chart but we have to think of the bigger picture. How much visual gain will this person achieve in the “real world”? We also have to consider how this residual prescription could be corrected. If it is a laser patient, would they be able to have a re-treatment? What type of re-treatment is possible: flap lift or LASEK? If it is a clear lens exchange patient would they be able to have a laser procedure or would they require a piggyback lens? All these things need to be considered in detail and most importantly the accuracy of the re-treatment. We have to weigh up the benefit of surgery verses the risk of the surgery. It is important to check for clinical signs of dryness and listen for cues from what your patient is telling you. Do probe more to find out the nature of these difficulties and to see if it is the vision or something else. We know that a poor tear film and dry eye syndrome are often the culprits for reduced and/or unstable vision. For this reason, it is important to treat the dryness and monitor the vision before we can be sure where the refraction lies. Very small refractions, +/- 0.25DS, are very difficult to re-treat. The outcome of these surgeries are heavily dependent on the individual’s healing process. The accuracy cannot be predicted so it is important to consider this with your patient. The variability can be high so is the surgery worth taking the risk? Some patients may feel it is and they have been treated, resulting in happy patients. This decision is an important one and your patient must always be fully aware of the facts before any decision is made. Promising the world to patients will leave them disappointed and they will lose faith in your ability. This is something neither side want, therefore it is best to council patients well from the outset and if you under promise and over deliver the patient will be delighted! If you have a patient that you think might benefit from laser eye treatments or non-laser eye treatments, then why not refer your patient to AVC TODAY to find out how we can help your patient say goodbye to their glasses.